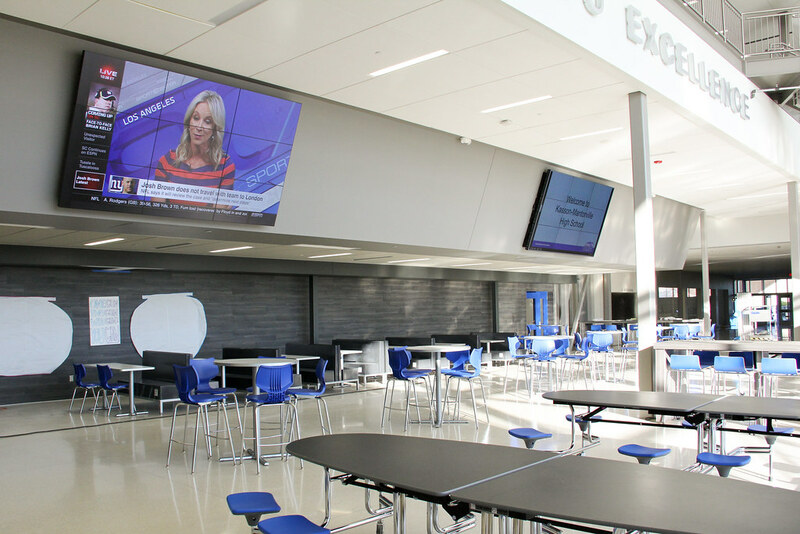 To suit this need, Tierney installed two 3x3 video walls using NEC 46” LCD displays with ultra-thin bezels on an angled wall over the open cafeteria space. 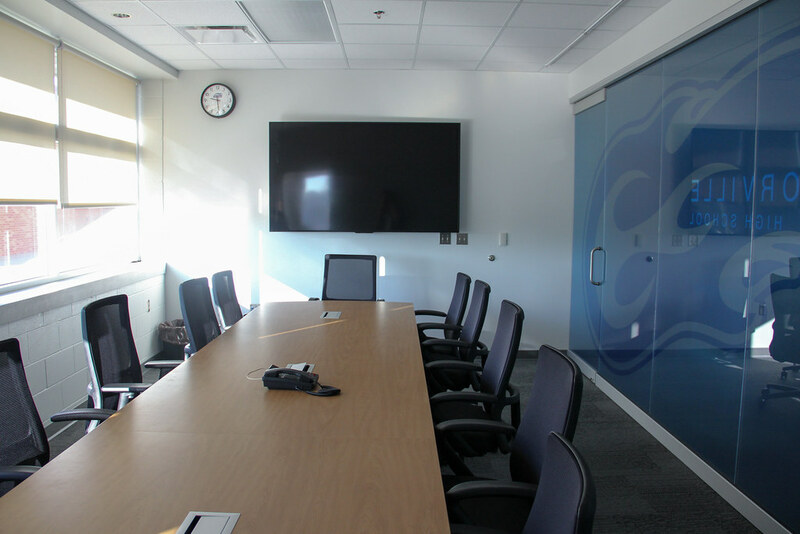 These video walls are supplied with content from multiple HDMI feeds and routed through an Extron DTP matrix switcher to allow any source to be routed to each wall independently or to display the same content on both walls simultaneously. 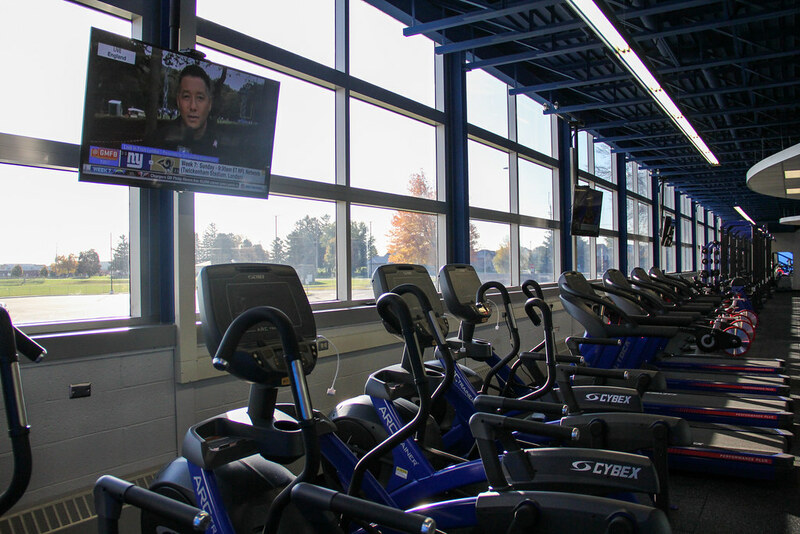 Viewers can access audio feeds from the sources with Android and iOS devices via WiFi receivers. 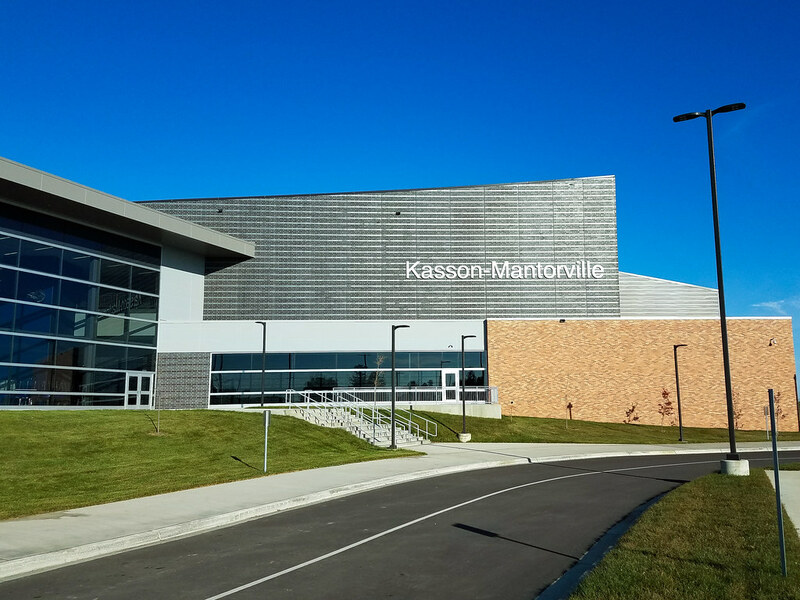 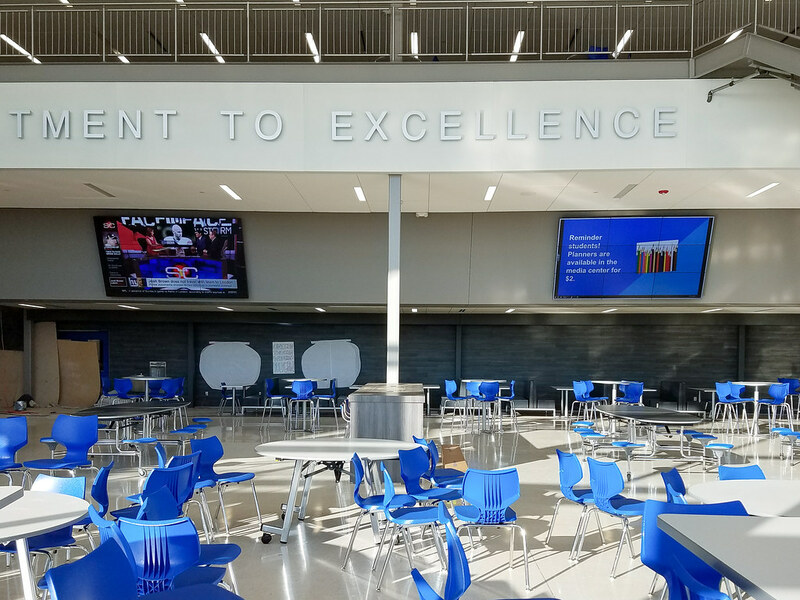 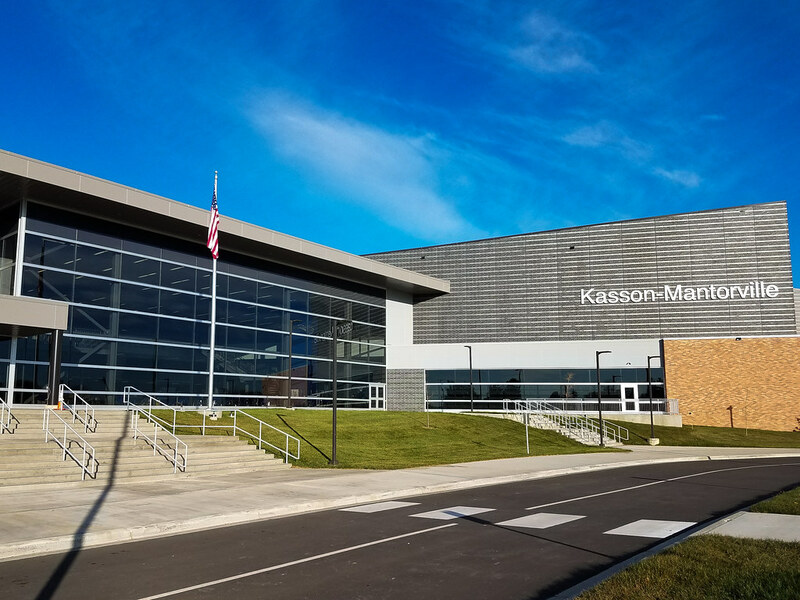 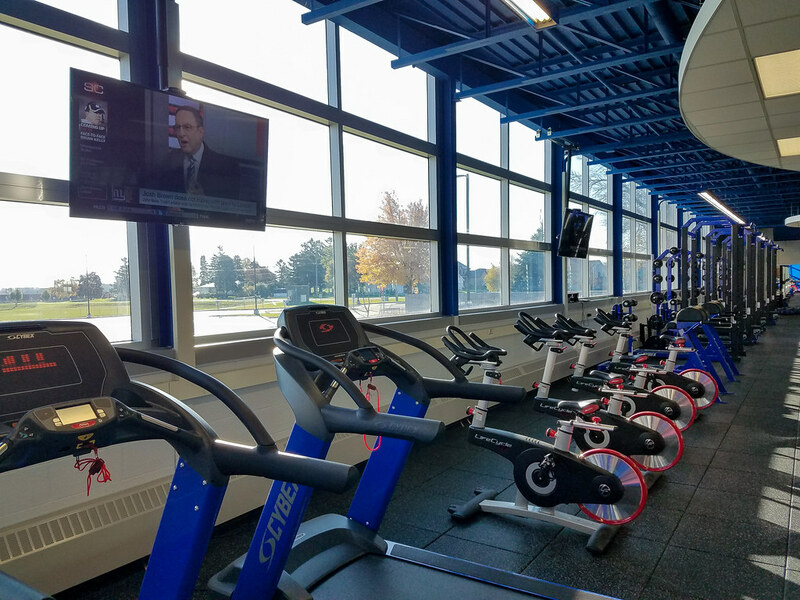 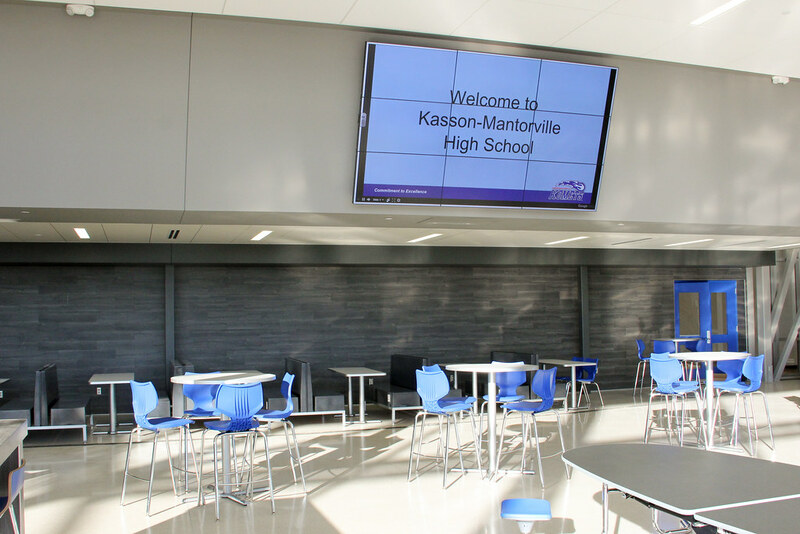 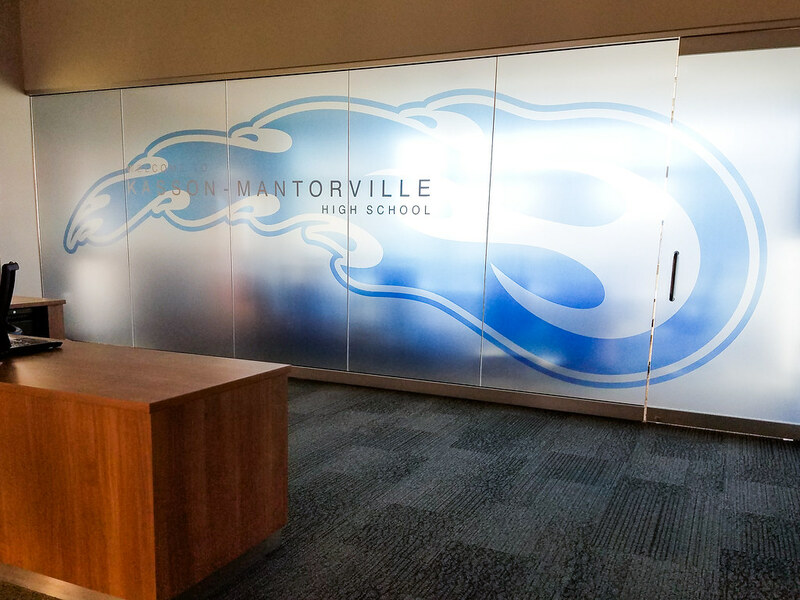 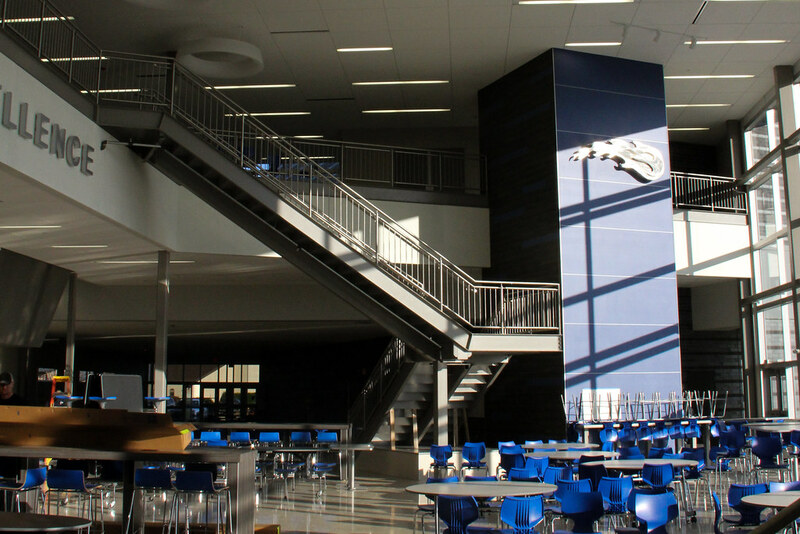 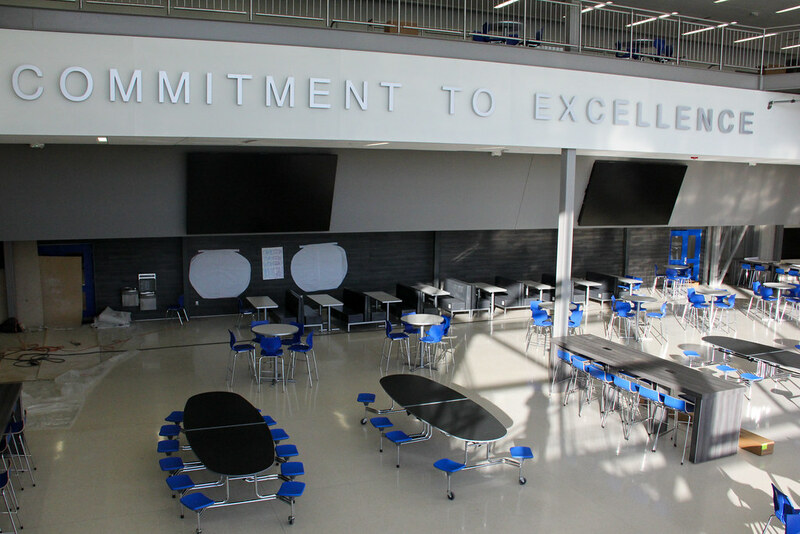 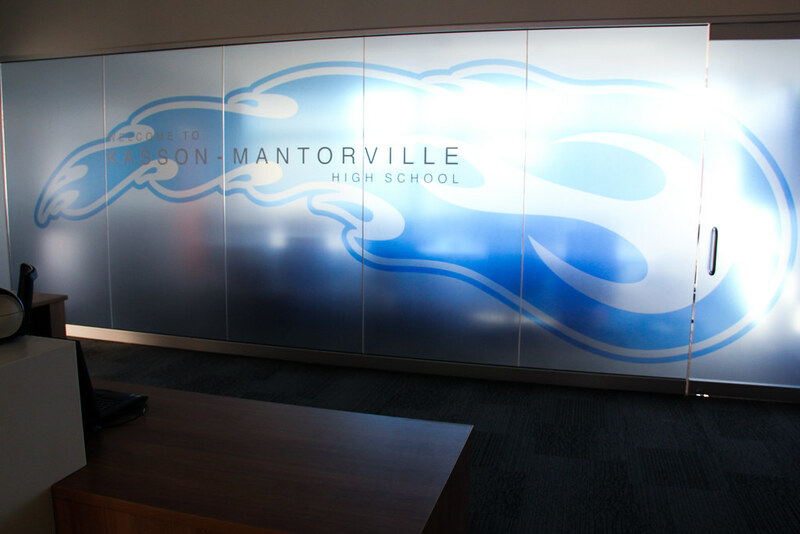 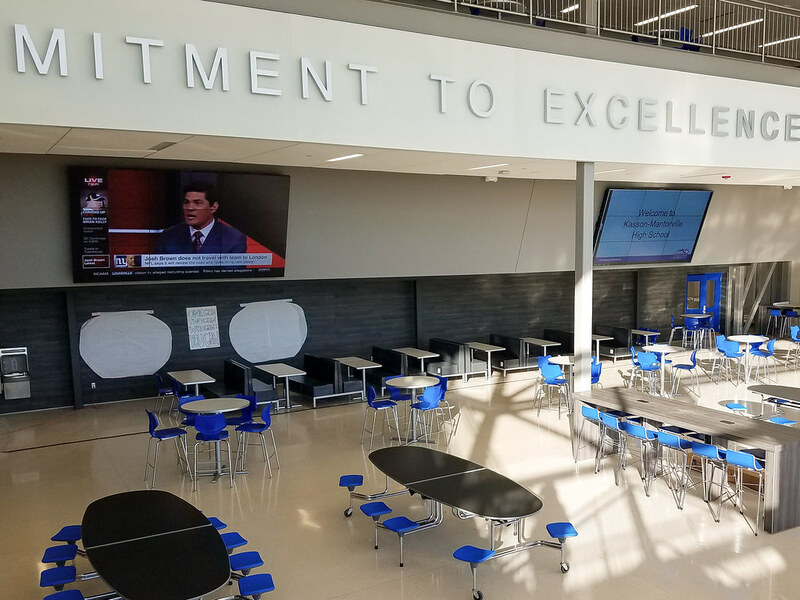 In the Fitness Center at Kasson-Mantorville High School, Tierney installed 3 LG 55” LCD displays; audio from these displays can also be accessed via WiFi receivers. 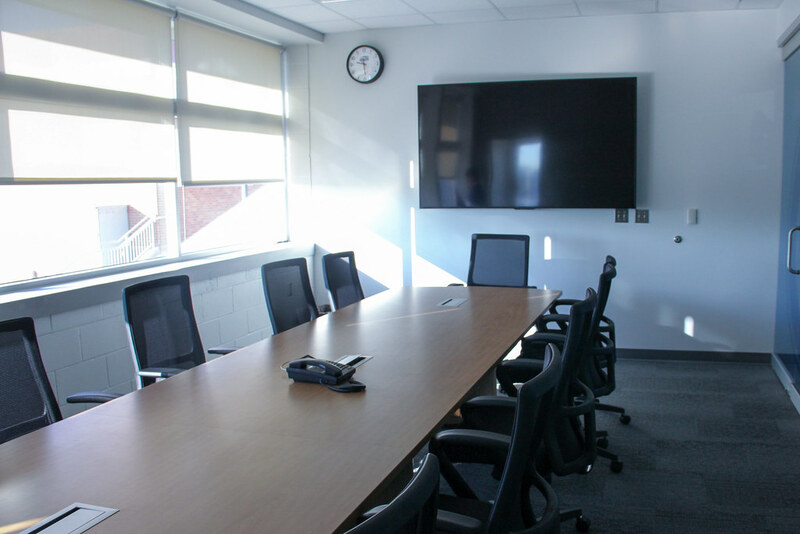 Finally, in the music area, Tierney installed two LG 55” LCD displays, and in the administrative offices, 5 55” LCD and 1 80” Sharp LCD displays.